With the hype from yesterday’s release of ‘Mr. Taxi’ dance ver. PV, we now have something else to be excited about–the girls’ Japanese official website has been updated. If you go on the site, you’ll notice there’s a new layout, gallery, and other goodies. UPDATED: Let’s All Join Hands And SPAZZ! And be sure to click below the jump for another surprise! “GEE” also moves up an extra spot to 8. SNSD, TVXQ, and KARA all make up the Super Hallyu Trifecta, constantly showcasing their ability to succeed outside Korea. Once again proving international appeal, the three secured 5 spots on Japan’s iTunes Top 10 Singles Chart. Can I get a WOOT WOOOT! Or a Hoot Hoot Hoooot! …Naw I’m just kidding with you. 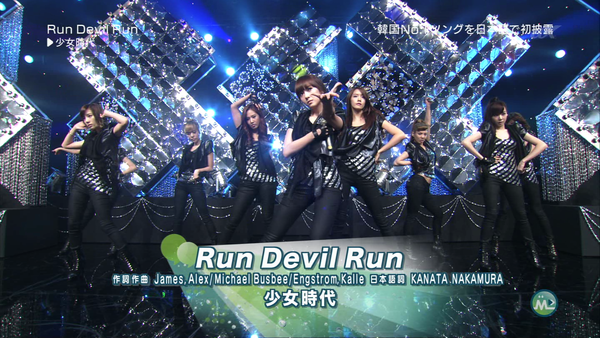 XD I’m fairly sure Run Devil Run will remain a digital single to be released on Shoujo Jidai‘s full japanese album when (if ever) it comes out. There is however, one epic fan-made music video that I thought would be fun to share with you, made by the talented Synkroneyes. FIXED: Replaced broken interview links and added a non-mirrored version of the performance, plus colorful autographs from the girls! 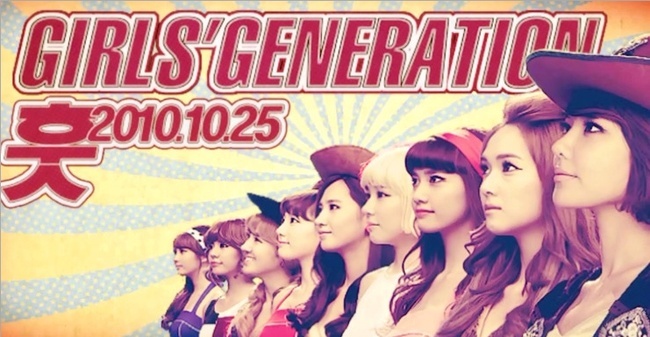 A week ago, it was announced that SNSD would make an appearance on Japanese music program ‘Music Station’, to perform the Japanese version of “Run Devil Run”. That episode finally aired tonight, and the girls could not have looked any more perfect in their black attire! Hit the jump for the videos and pictures. 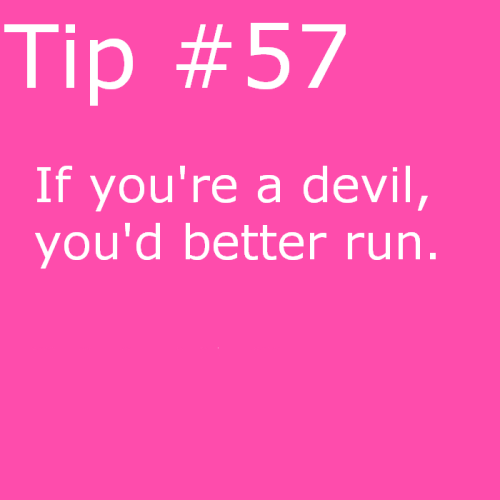 Run Devil Run is the #1 ringtone on Recochoku! The Japanese version of “Run Devil Run” has claimed the number one spot on the Recochoku Chaku Uta Daily Ranking, for the 19th of January. Recochoku is a Japanese based digital music downloading website that specializes in ringtones (Chaku Uta). In Japan, ringtones are immensely popular and for “Run Devil Run” to claim the top spot after only one day of release is a champion effort so congrats to the girls! 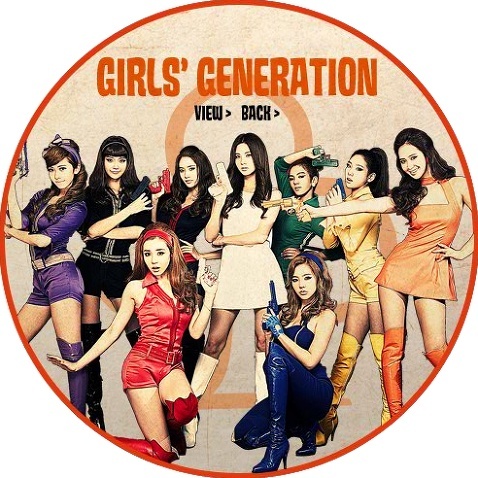 Tidbit: Although the Japanese versions of “GENIE” and “Gee” were both released before “Run Devil Run”, this is the first SNSD track to achieve numero uno on Recochoku.